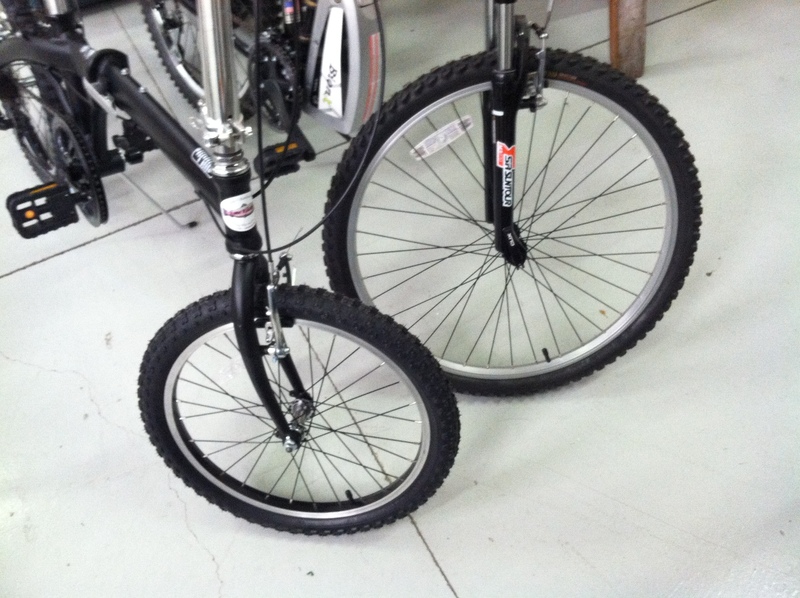 Our Folding bike, micro bike 20 inch mountain bike tire upgrade has been tested and improves the usage of the micro bike to the level of normal size mountain bikes with 26 inch tires. A outstanding option: Mtn. BIke, Wire Bead Bicycle Tire, Blackwall, 20-Inch x 2.125-Inch same as the 26 inch tire on a full size bike. The micro awaiting folding before boarding the Kitfox aircraft. 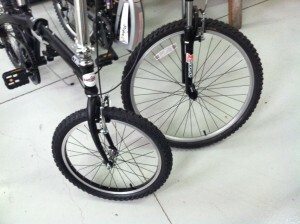 the ride comfort and control of a normal sized mountain bike 26 inch or larger tire gives you. Aviation design flows to all Kane Klassics products. NOTE the tundra tires for landing off airport and on gravel strips. In the picture comparing the 20 inch to the 26 inch tire you can see the 2.125 inch width of both tires is the same. 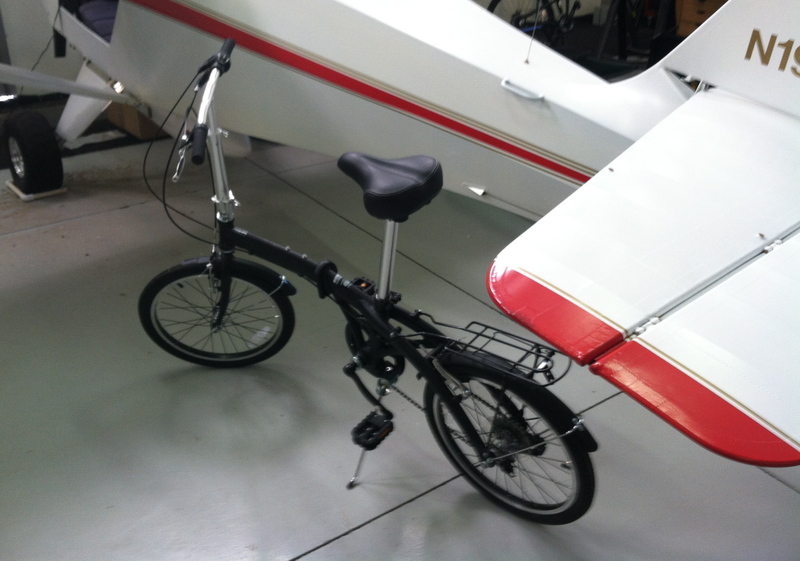 You get the comfort of a full size bike with the smaller micro bike size which fits more compactly into the aircraft , RV or auto. Tagged electric bikes, fly fishing, Folding Pilot Bikes, Kitfox, Technical Tips. 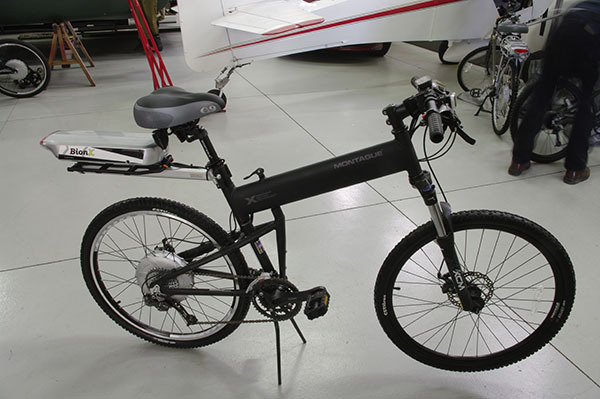 « Electric Bike, How to use the Bionx Pedal Assist to level your ride effort.